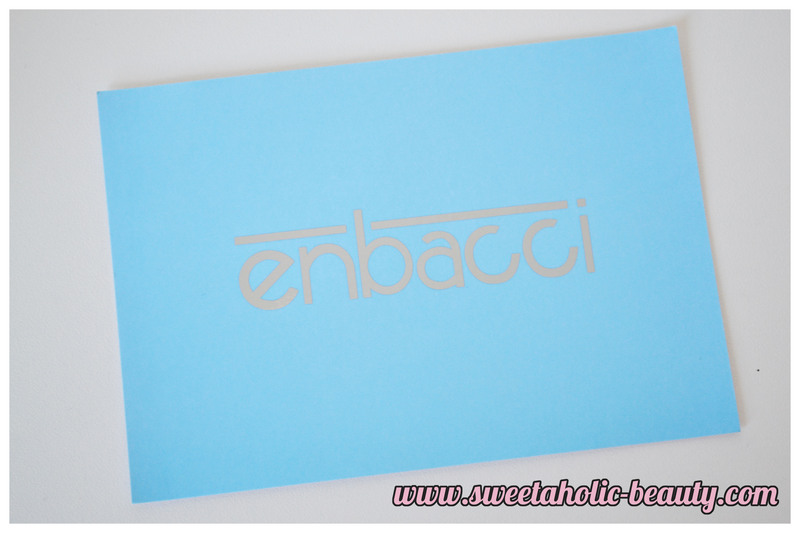 A few weeks ago, I was lucky enough to be invited to a very exciting event - the Enbacci Skincare Event! 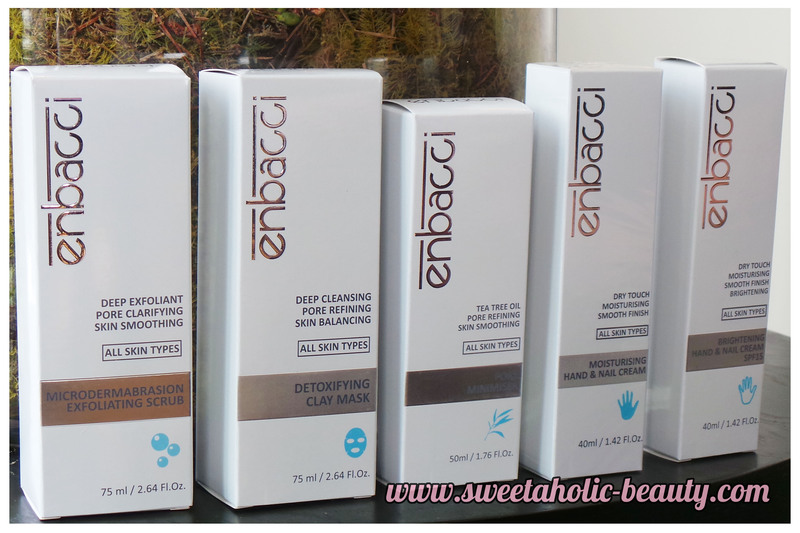 Enbacci is a brand new skincare range that launched on the 5th of October last year, with eight premium skincare products to start out with! The very lovely Yong-Li introduced the brand to us, and explained how everything was tried and tested on her family members! (So much better than animal testing!) 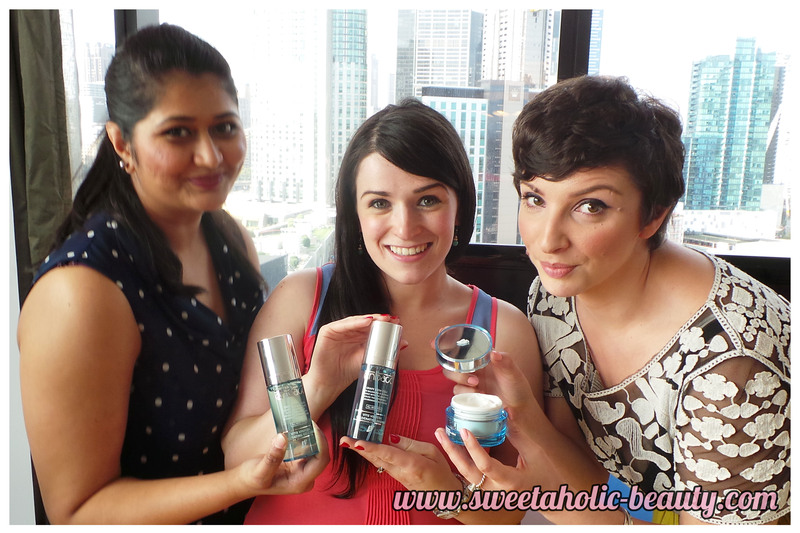 We also had the lovely Chelsea, who runs a spa in Melbourne, to talk about how she would be using the products in her spa! 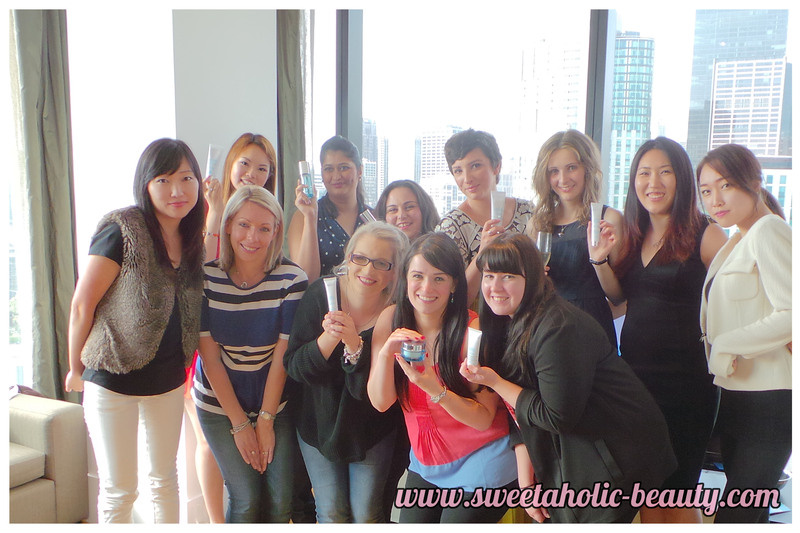 We were treated with bubbly and yummies! Just a few of the products! How gorgeous is packaging! The event was so intimate and lovely, so it was great to really have an honest chat about the products without the fear of asking "silly" questions in front of a big group! Most bloggers that attended I had already met (if not many times before!) so it was very friendly! Enbacci also had an adorable instant camera (I actually invested in one of these a few days before the event - so much fun!) so we all went a little bit nuts! 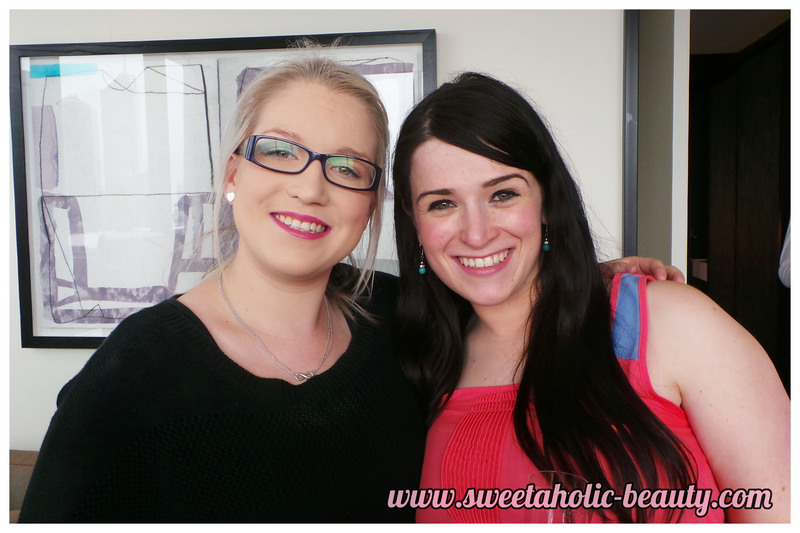 The gorgeous Melissa and I! 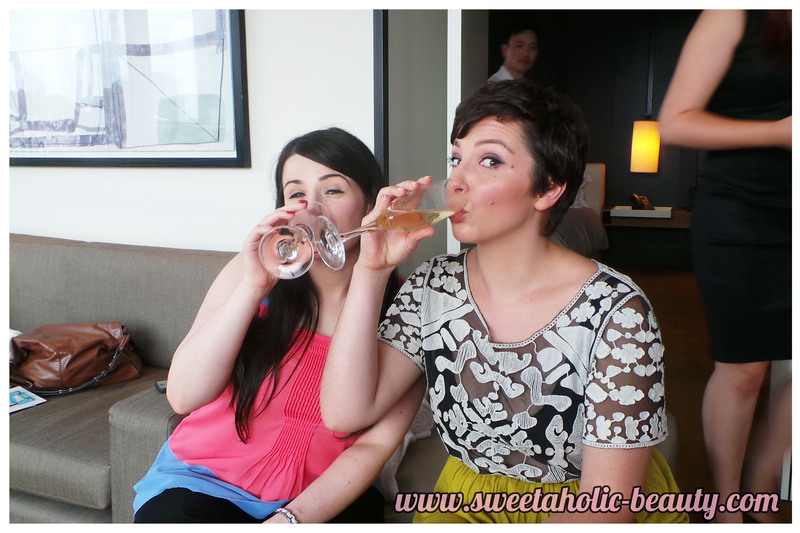 Beautiful Claire and Kat enjoying their bubbly! 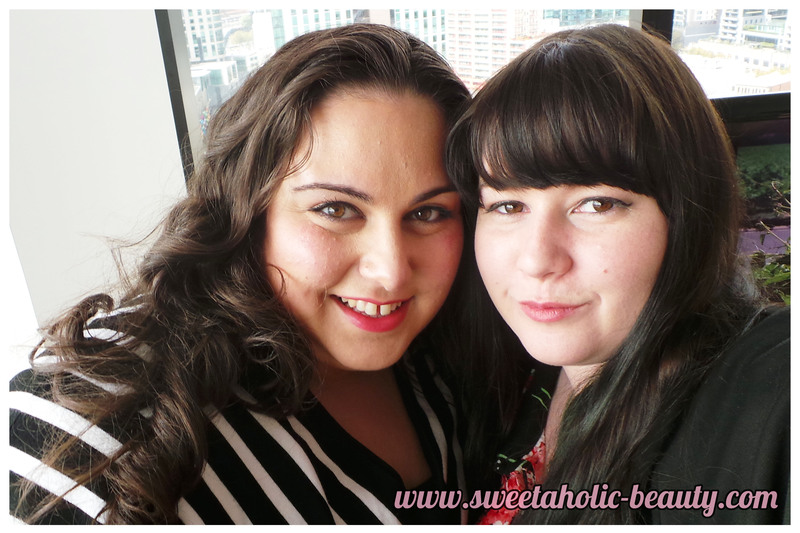 We got a chance to test out all the products - which at first test were gorgeous! The scents were beautiful, and everything was so soft and lovely on my skin! You may not be able to tell due to the sunlight, but we were pretty high up and had amazing views of the city! Enbacci had booked out a gorgeous room at Crown Metropol, which really added to the atmosphere! Sweet ladies Reshma, Claire and Kat! Ummmm can I take them all home, please? 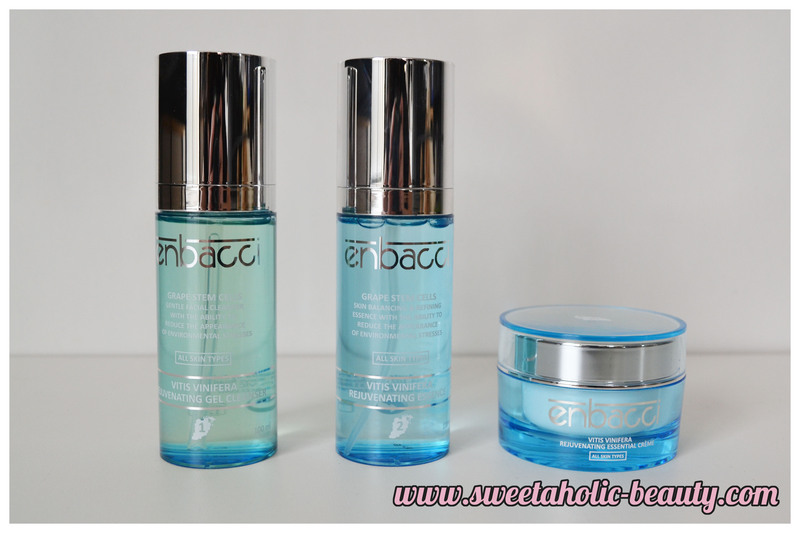 Enbacci was also kind enough to gift us the original 3 Step System, including the gel cleanser, the rejuvenating essence, and the essence creme. I won't talk too much about the products themselves, as I do plan on doing an in-depth review of the 3 Step System after I've tested them out! 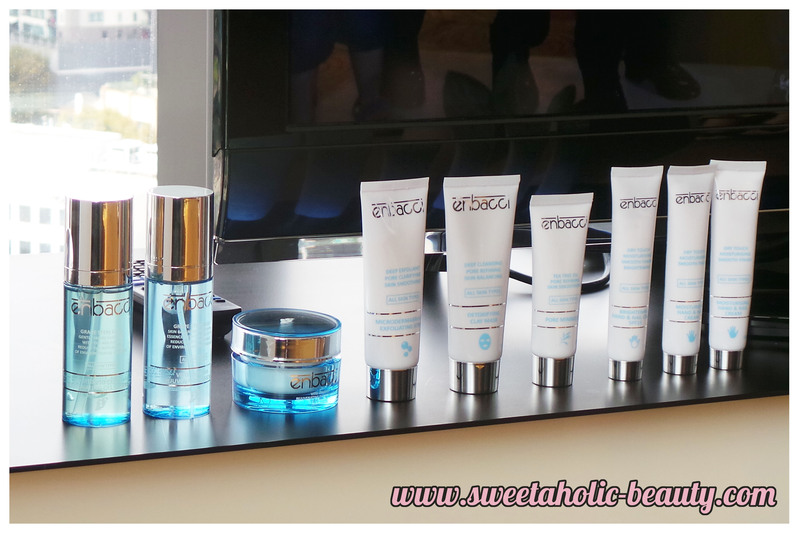 They also gifted us a day at the spa with Chelsea to experience all the products - wow! 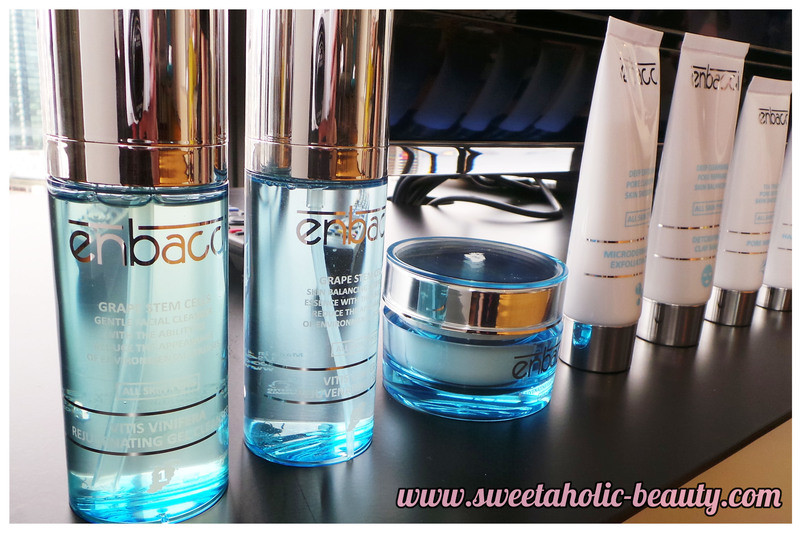 We spent a good afternoon learning all about Enbacci products, and I have to say I'm impressed. The company is aimed at all skin types, particularly young adults, which is something I find really important. 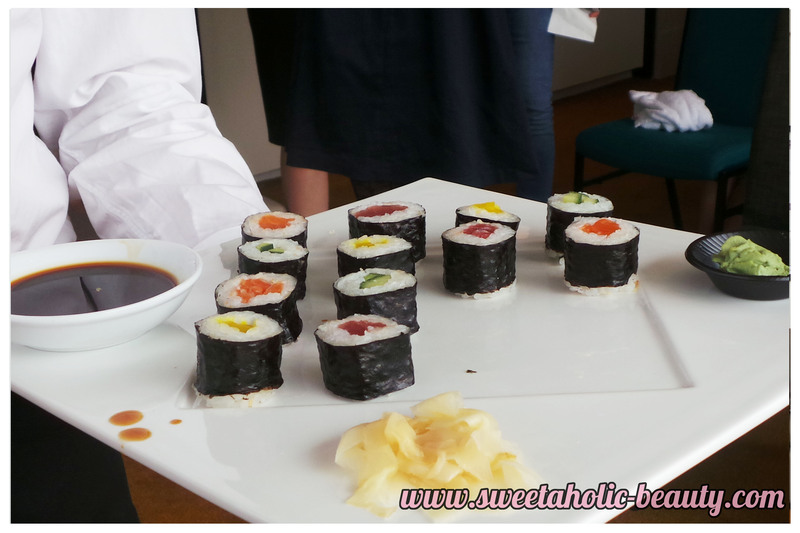 Yong Li was a wonderful and warm hostess, and I loved the family aspect behind the brand! She had her dad there with her, as well as her cousin serving the food, and they all made us feel so welcome! 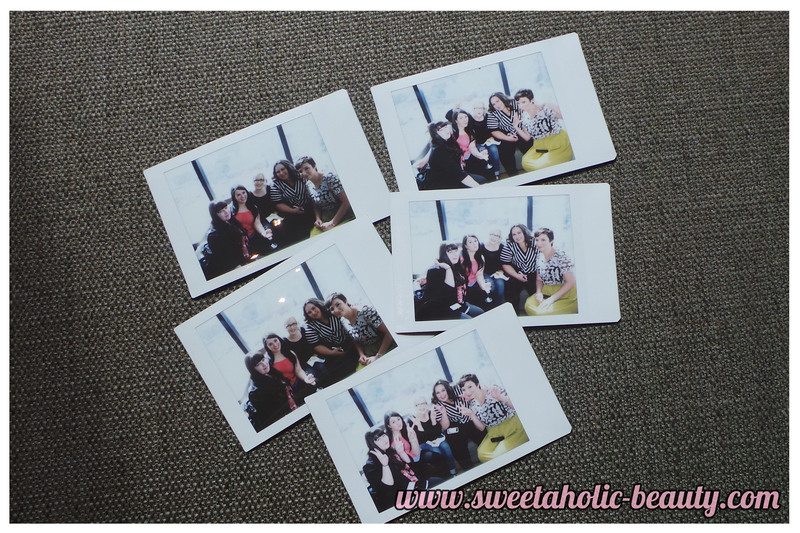 Overall it was such a wonderful afternoon, and I learnt a lot about this lovely new brand! This was such a fun event. I am loving all the products. What a lovely event! I wonder how the name came about. Looking forward to hearing your review! The packaging looks so beautiful. I can't wait to hear about the products, especially the Rejuvenating Essence. 0o0o0o0 I'm looking forward to your review on these products. I quite like the family aspect of that too! So cute! Sounds like quite the event! Looking forward to your review!